A quick powder to mix with water to make coconut milk or cream. 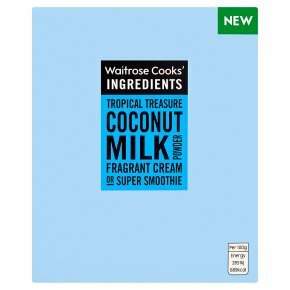 Great for adding a tropical taste to smoothies, or as an addition to desserts. INGREDIENTS: coconut extract (80%), tapioca maltodextrin, sodium caseinate (milk), anti-caking agent (tricalcium phosphate).